4k00:33A colorful rooster scratches at the fresh snow in search of corn, the chicken's food, on a cold December day in Wisconsin. 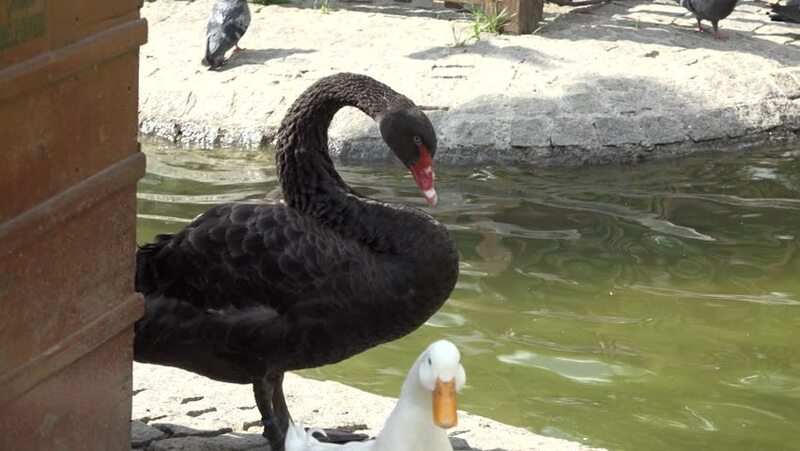 hd00:28A flock of black swan swims in the summer on the mirror surface of the pond in the park in search of food. Birds in the wild nature.